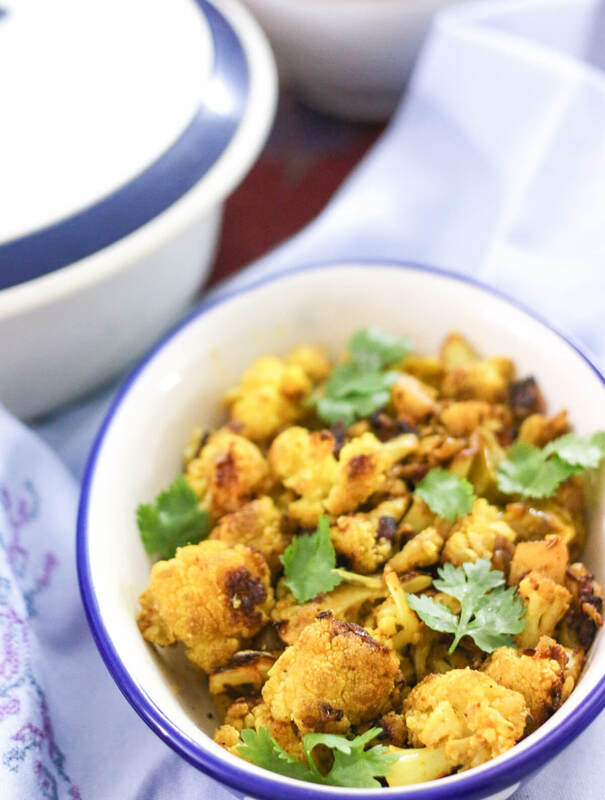 Roasted cauliflower vegetable fry is a simple recipe of cauliflower florets cooked in mustard oil and lightly spiced with turmeric, salt, pepper and dry mango. It is great as is for a snack or as a side with parathas. Cauliflower has suddenly become the wonder vegetable as a gluten-free food to replace flour and grains. I am totally amazed by the various hacks to make cauliflower pizza base, bread, rice, couscous — all from just this one vegetable. I really need to try a cauliflower bread one of the days but till then I love to enjoy this mildly spiced, pan roasted cauliflower. As a kid, I wasn’t a big fan of cauliflower. How many kids are? I remember making a face every time mom would say it is gobi ki sabzi for dinner! And mom would always make it with potatoes (where I used to try and pick only potatoes) or chop it very small and add it to vegetable pilaf. My love for cauliflower blossomed only after I gave up potatoes for almost 6 months and for the first time cooked cauliflower veg fry without potatoes. There was no looking back after it! 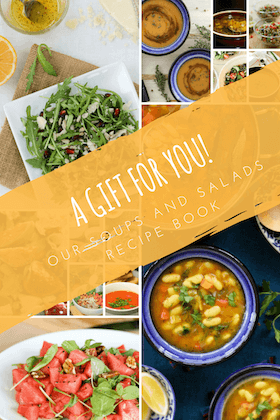 If you like this recipe, it will be a great encouragement if you can rate it below and leave a comment. 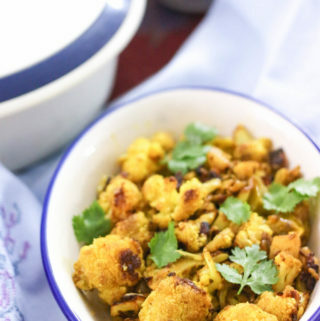 Roasted cauliflower vegetable fry is simple recipe of cauliflower florets cooked in mustard oil and lightly spiced with turmeric, salt, pepper and dry mango. It is great as is as a snack or as a side with paranthas. Wash the cauliflower florets under running water and soak in hot water with a little salt and turmeric. Heat oil in a non-stick pan. When the oil is hot add hing, cumin seeds, ginger and green chillies. Sauté for a minute. Drain the cauliflower and add to pan. Mix well and cook covered for about 5-7 mins. When the cauliflower becomes lightly soft, add turmeric and amchoor powder. If you like very spicy, you can also add red chilly powder. Mix well and cook on low for another 5 mins. Garnish with fresh coriander leaves and serve hot. If serving as a snack, sprinkle some chaat masala as well. Cauliflower florets may sometimes house dirt and seldom some little bugs which may not be easy to remove while cutting. Soaking the cauliflower florets in turmeric and salt water helps clean the cauliflower properly before cooking. These days I hardly have came across instances of bugs in cauliflower, but it is a practice that has been going on since long in my family and doesn’t hurt :-). Mom usually recommends soaking for 30 mins. Cauliflower has anti-inflammatory and antioxidant properties which are further enhanced in this recipe when it is cooked with turmeric. You have to try this recipe and when you do, tag me with #weekendkitchen on instagram or connect with me on Facebook, Twitter, Google+, and/or Pinterest.